If you love to shop and socialize this browser is for you. Online shopping, watching videos and surfing the net give other browsers and search engines lots of ways to make money/dividends from your data. 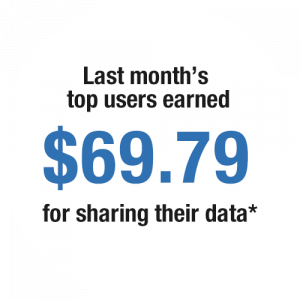 Now you can take control and get paid for sharing your data anonymously. 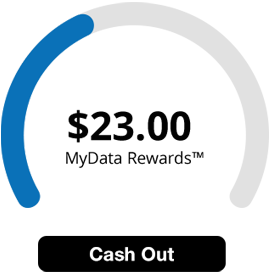 You choose: Get cash for sharing anonymous browsing data or don’t share anything. It’s up to you. Cocoon is the only browser to give users the opportunity to share their data and make cash money from it easily and anonymously. We have built Cocoon on the open source Chrome framework to give you the best experience possible where you can utilize all your favorite extensions. Download the first browser to give you cash for your data with MyData Rewards™ from Cocoon. Ready to start using the next generation browser? Already have an account? Get the Browser! Benefit from MyData RewardsTM. It does all the work for you and provides you cash for the sale of your data. can opt out at any time. Why is MyData Rewards™ only available in the USA? We are not set up to sell data belonging to users whose IP address is outside the USA at this time. Unfortunately, this issue cannot be solved with a VPN...both the device and the IP address must be in the USA. We will announce new markets as they open up. Thanks for your interest in MyData Rewards™! That depends on the quantity and the quality of the data you generate. We estimate that the average user should be able to make between $150 and $300/year. Cocoon will do everything in our power to maximize your rewards. In order to provide this service, Cocoon will retain 15% of the profits from selling your data. The remaining 85% goes to you! We use your e-mail address to create your account and to contact you for any issues that may arise with your MyData Rewards™. *Earnings based on an average of the top 20 users for February 2019. Rates subject to change based on actual pages visited and data market rates.